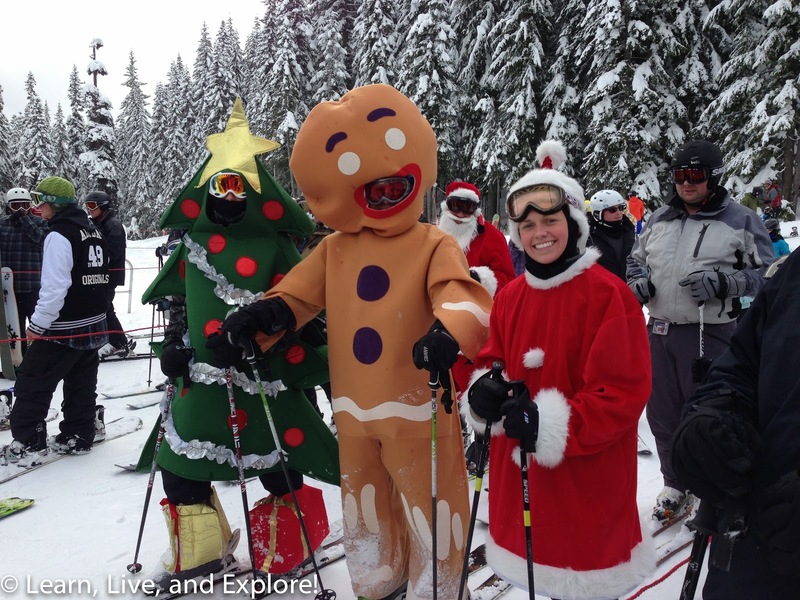 Skiing in Seattle ~ Learn, Live, and Explore! I can say this for certain, had I not learned how to ski when I was a kid, I don't think I would pick up the sport as an adult. 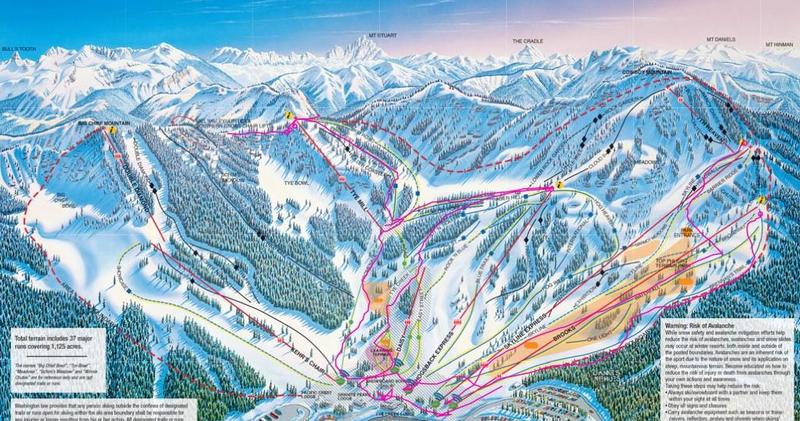 There's no denying that it can be very expensive if you're an infrequent skier and can't rationalize the more economical season pass, with single day tickets starting in the $60 range and going upwards to $100. Then there's the gear, which can be $30 or more to rent for a day or maybe around $1000 to buy it all new - boots, skis, poles, jacket, hat, socks, gloves, etc. If you're going to buy just one thing, it must be boots. There is nothing worse than a bad fitting pair of boots, and I can't tell you how many times my day has been shortened because of boot issues. This year, I finally decided to buy gear after renting for a long time because I knew I was going to ski at least 5 times. And gear lasts a long time! On top of the expense is the cold and less than ideal weather that can settle in on your day and mess with visibility and safety. Having said all that, I do appreciate that I have skiing in my arsenal of skills because trips to the slopes can be really fun, the other skiers are friendly and there's always the apres-ski crowd! For the first day of skiing, we opted to visit the Summit at Snoqualmie, about an hour from downtown Seattle. 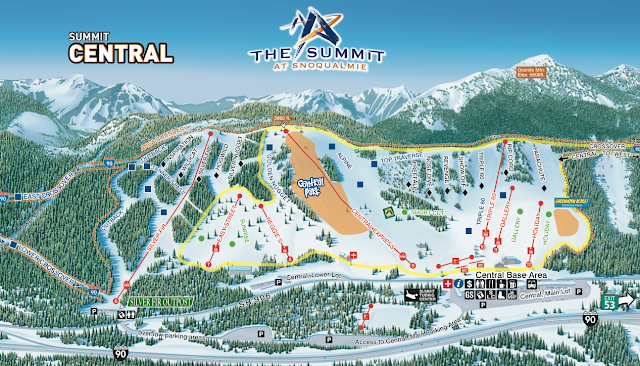 Only the Summit Central mountain resort was open for the holiday, and on a limited hours schedule. 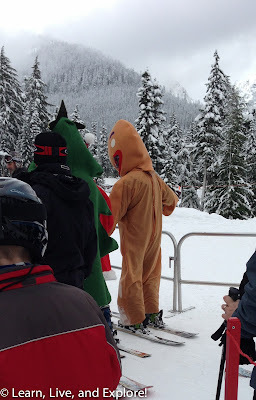 In addition, several of the lifts were closed, so we found the lines were unnecessarily long. 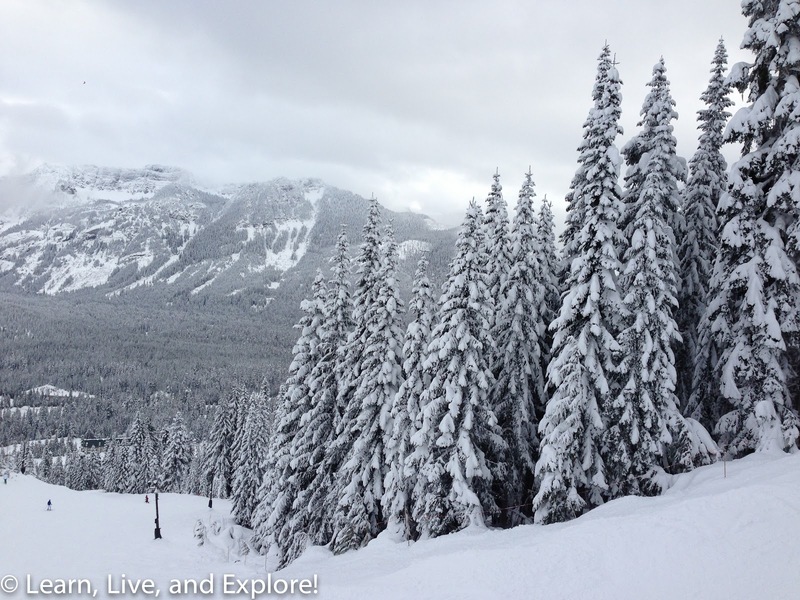 The skiing was all packed powder and the runs were disappointingly short compared to other ski resorts in the Northwest. I'm not really sure if the $60 was worth it that day, especially considering that normally you would have access to Summit East and Summit West slopes, as well as the more challenging Alpental across I-90. We encountered a fun surprise on one run, as we were passed by a family of five dressed in different Christmas outfits - Santa, Mrs. Claus, Gingerbread Man, Christmas Tree, and a little kid dressed as the Grinch. The people on the lift were yelling down, "Run, run as fast as you can; You can't catch me, I'm the Gingerbread Man." I made it my mission for the day to get a photo of the family, and failed on the first two attempts until finally seeing them in line for the lift behind us, well three out of the five. 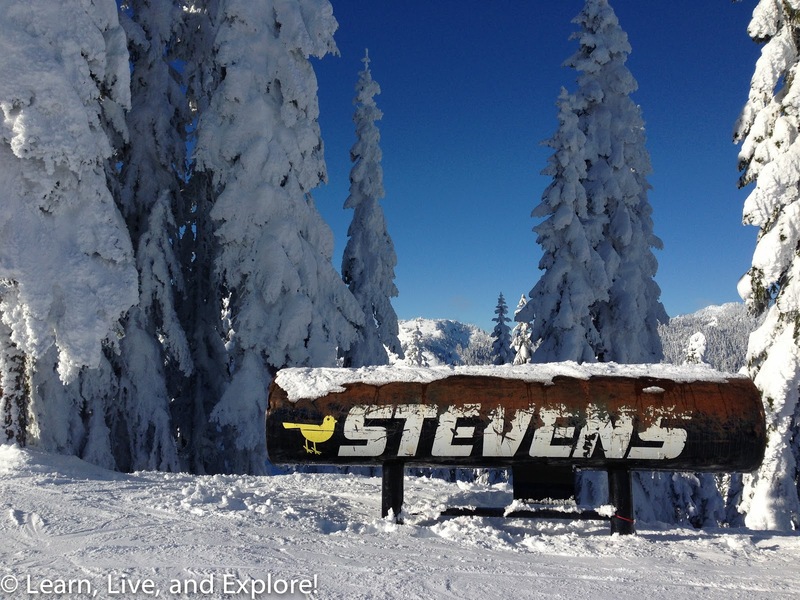 Our second ski trip was north of Snoqualmie at Stevens Pass, and if I were to come back, this would be the first place I would go. 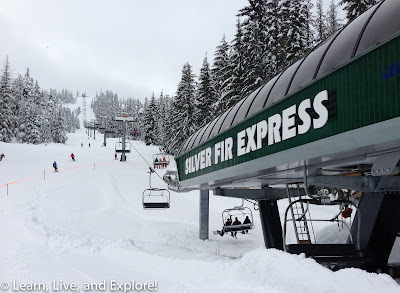 Conveniently located about an hour and a half from Seattle, the facilities at Stevens Pass were much more advanced (RFID ticket system) and the staff was able to run the resort much more efficiently. Unfortunately, the location of the ski area often presents an access challenge when it is snowing, as the Washington Department of Transportation quickly closes the pass because of its history of snow/ice related accidents. We happened to choose an absolutely gorgeous day to go, though. 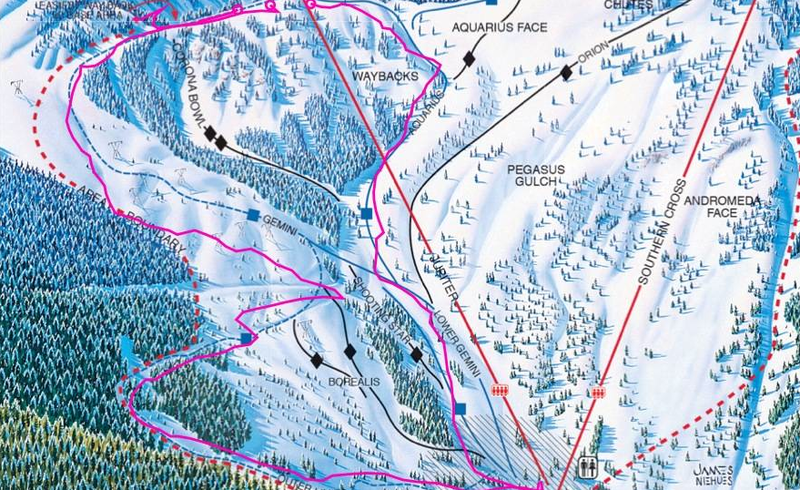 I suspect because of their flex ticketing system, where you are not limited to a strict timeframe but rather you can ski either 4 or 8 hours starting whenever you take your first lift ride, people feel less pressured to arrive early to be there when the resort opens. I would encourage early arrival, though, because parking was a lot easier and lines were shorter. Right in front of the base area are two convenient high-speed quads that will take you up to most of the runs on the Stevens Pass side of the mountain. Access to Mill Valley slopes on the other side is not difficult, with two upper lifts that will take you to the ridge line. 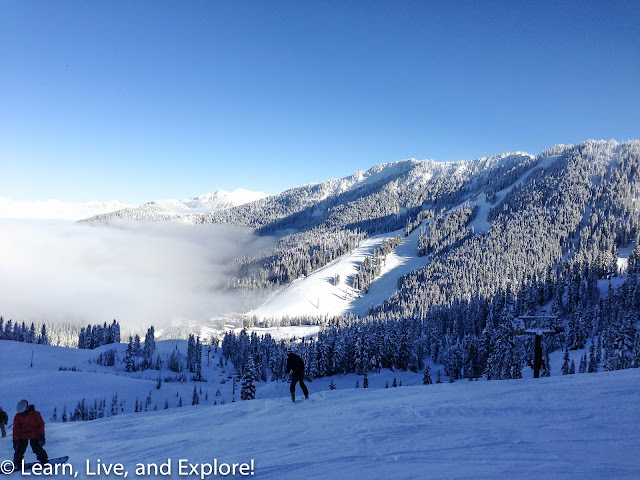 The views from the top of the lifts were amazing because there was a blanket of fog that had settled right in the valley so that you could still see the snow covered peaks of Cascade Mountains. One of the bonuses of Stevens Pass is their app for the iPhone. 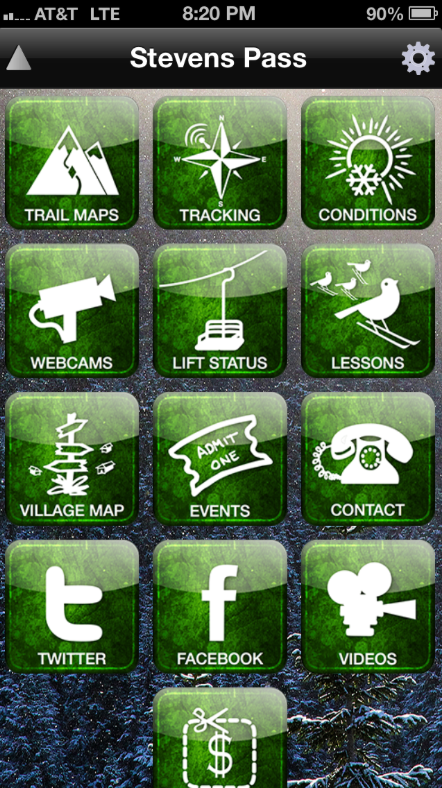 You can access current statuses for weather, lifts, and runs as well as get trail maps. 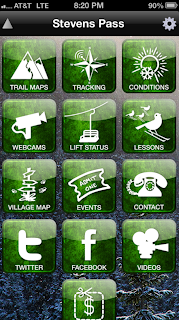 The best feature of the app is the GPS tracking. We turned it on for part of our afternoon session to see what it would produce, and it actually showed a map of all of the runs we took and the exact positions, including our little mishap on Gemini where we got stuck in some deep powder and my apparent love of the off-piste jumps on Brennan's Trail. 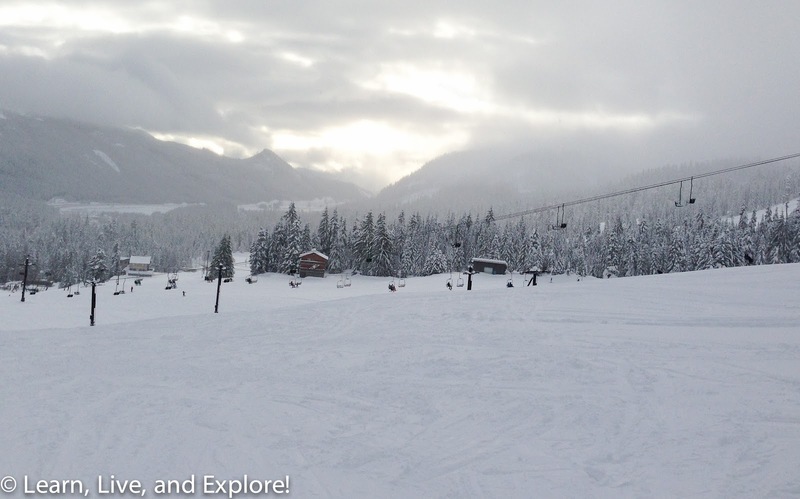 Apparently, I am a solid intermediate skier - no black diamonds for me that day! You can also see your stats: vertical drop and average speed for each run, total runs for the tracking period, and combined run stats. 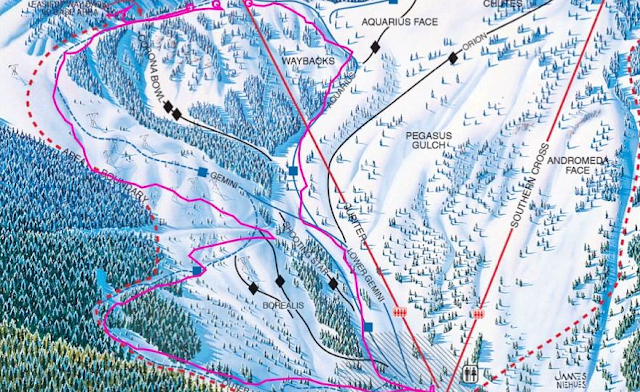 I wish more ski resorts had this technology feature! It was fun! I also tried out my GoPro camera this trip to see what kind of action I could capture (and if it was worth keeping). I originally bought the camera to take a video of my indy car drive last summer, but the company would not allow it for liability reasons. So this was actually the first time I was using it in action. A guy sharing a lift ride with us said he was disappointed with the movies he made that were taken with a head-mounted camera. And I have to say, it's not great footage for anyone with a queasy stomach when it comes to motion. Perhaps a chest mounted camera would be better, but would still cause a lot of motion (think Blair Witch Project!). Of course the footage of me skiing down a blue run without much in the way of obstacles is not exactly riveting material! Hmmm....I think I've got another item to add to my list to put on Craig's List.